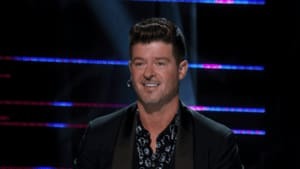 Which singer were YOU rooting for in the finals? 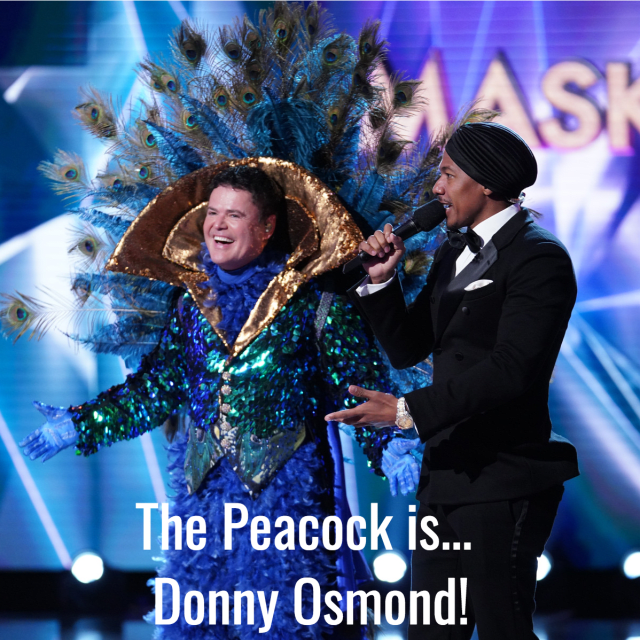 The season finale has revealed the Season 1 winner and unmasked the final three stars. So, who are they? 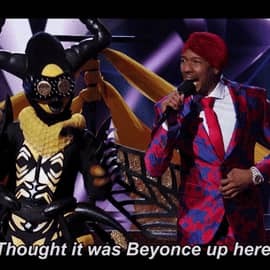 Third place: Click the GIF below to meet... the Bee! 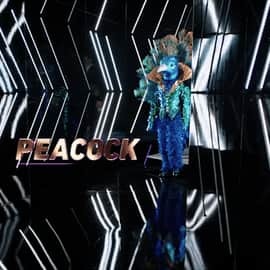 Second place: Click the GIF below to meet... the Peacock! 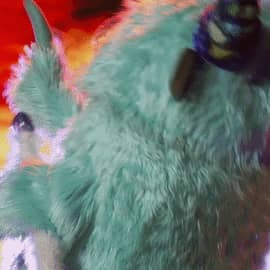 First place: Click the GIF below to meet... the Monster! That's right! 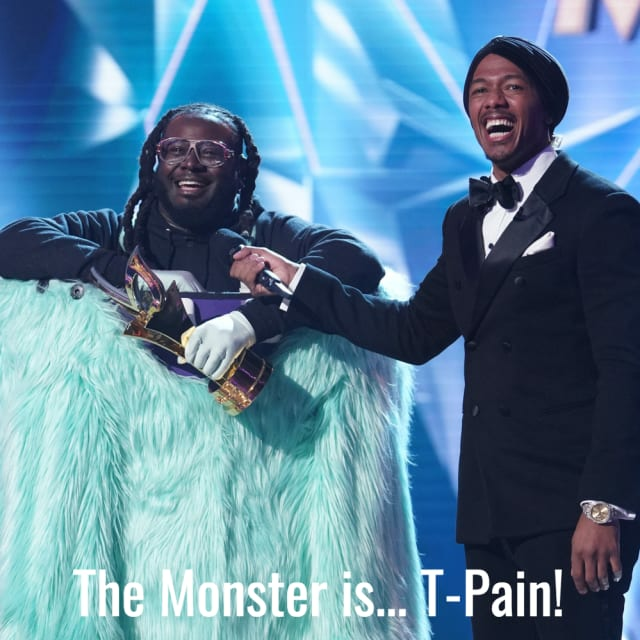 T-Pain is the Monster... and he's the winner of Season 1 of the show.